Nanded houses the second largest Gurudwara house of worship in India and attracts hundreds of pilgrims and tourists every day. 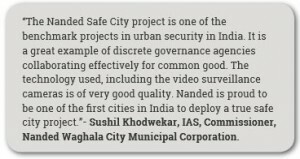 The growing security concerns were recognized early by the Nanded Waghala City Municipal Corporation (NWCMC) & Nanded Police who were looking for an intelligent video surveillance solution for the city to address the following concerns: early warnings for preventing disasters, efficient monitoring for better governance, better traffic management and crime prevention and control. NWCMC appointed MIPL, a leading security consultancy organization from India, to assist in designing and supervising the project implementation. 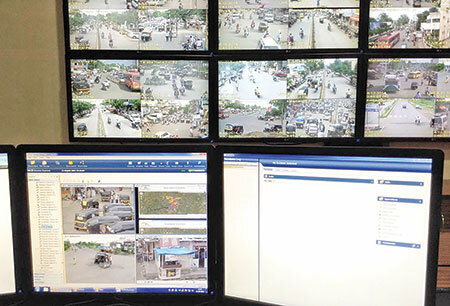 The project’s first phase was focused on monitoring all critical areas of the city, including major entry and exit points, busy junctions and tourists’ attraction spots. 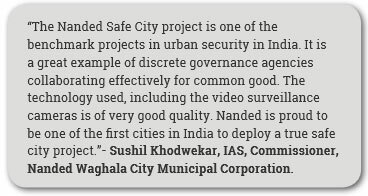 The idea was to convert the city surveillance project into a safe city project to help the local authorities improve the overall operational efficiency and reduce manual intervention. 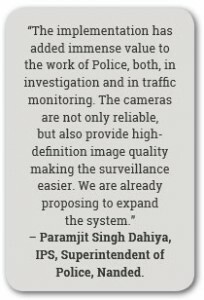 A total of 104 high resolution, night vision, fixed and PTZ Axis cameras were installed at all strategic locations spread across the city. The installed cameras included AXIS P1354 as well as AXIS Q6035-E Network Cameras. AXIS P1354 is a fixed day and night camera with superb image and excellent video quality, and AXIS Q6035-E is a robust outdoor camera with HDTV 1080p, 20x optical zoom and high-speed pan/tilt performance for coverage of wide areas and great detail when zooming in. traffic flow. 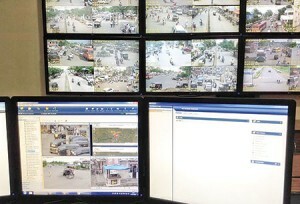 Further, these cameras are connected to a central video management system located at the Nanded Police headquarters, where the operators monitor the system roundthe-clock, zoom-in and closely observe suspicious objects and people real time, and, trigger alarms to local authorities whenever required. The solution has not only had an impact in helping the local authorities solve traffic cases, but also helped to combat and resolve cases of violence in the city. On a real time basis, control room has identified cases of chain and purse snatching and provided leads to the on-field police. There was a case of pranksters and miscreants on bikes being detained during the festival of Holi. 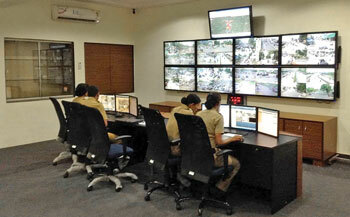 Traffic and parking patterns have improved with the control room’s ability to make announcements through central PA (Panic Alarm) system, heavy vehicle’s movement across the city can be watched to assess fines on illegal transport/transporters and even the police on street are more vigilant since they too know that their movements and actions are watched.